War is a terrible and seeming inescapable part of the world, and we pay uncountable prices for it, both literally and figuratively - but one of the tragically often-ignored prices is in the cultural treasures that are lost along the way. Most notable recently during the invasion of Iraq in 2003 when numerous museums and galleries were looted, and unfortunately still occurring today thanks to the constant fighting in many areas of Iraq and neighbouring countries due to the rise of the Islamic State, some treasures are being stolen and sold on the black market, while some are simply being destroyed. Fortunately for the cultural history of the world, some of these priceless artifacts are being reconstructed using an advanced technology known as photogrammetry. Photogrammetry is a process that takes multiple photos of a different angles of an object and recreates them as a digital 3D file, one that could then be either rendered and viewed on the computer screen, or even put through a 3D printer to create a replica of the original piece. Naturally, these can never replace the value of the lost works, but since most will never see the light of day again, it's the best chance we're likely to have. One of the most interesting projects to come along that uses these techniques is named Project Mosul, after the now-destroyed Mosul Museum. It's based around a crowdsourcing effort, so that anyone who visited the museum and snapped pictures of the pieces on display can submit their photographs to the project to help refine the 3D models of destroyed artworks. The more source photographs there are, the more detailed the reconstruction can be, as each photograph is typically taken from a slightly different angle, which gives a slightly different description of the 3D surfaces of the object in question. The founders of Project Mosul, who are entirely volunteer staff, hope to expand the project to cover other destroyed sites around the world, and open up new possibilities for experiencing cultural treasures that have been destroyed. Would that it weren't necessary, but war sadly seems to be one of the most constant phenomenons throughout history - perhaps one day, we'll be able to overcome even that legacy. 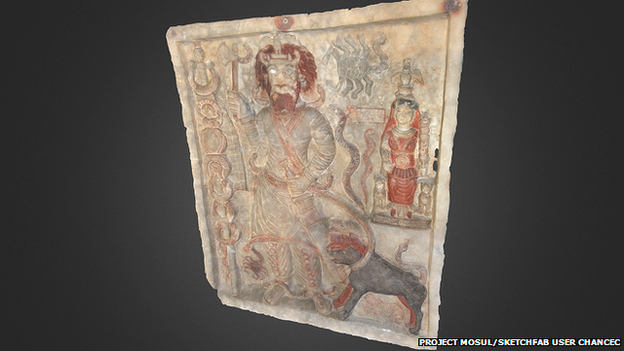 Speaking to the BBC, Project Mosul co-founder Matthew Vincent said, "3D printing is really proving to be one of the most valuable assets for heritage that we have today. It's a way to bring them back to life and have a tactile experience with them, even if we can't guarantee that they're exactly as the original would have been. "Whether it is because of conflict or natural disaster, our heritage is such a delicate and valuable resource, the only way that we can really preserve it is to take the steps to make those digital surrogates, so that we can protect the physical reality of that heritage as well."